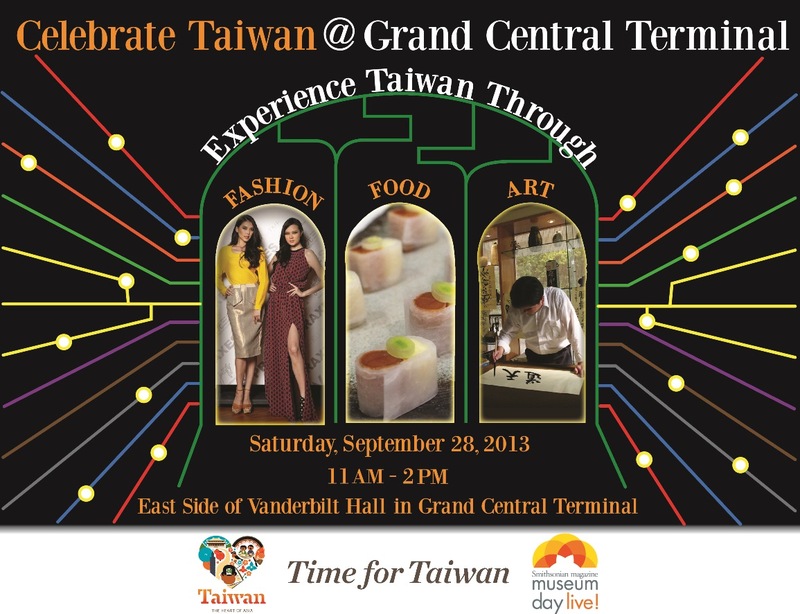 Come experience Taiwan’s art, food and fashion at Grand Central Terminal on September 28th 2013 from 11am-2pm. Museum Day Live! is an annual event hosted by Smithsonian magazine and this year Taiwan Tourism Bureau and Smithsonian Museum have partnered together to showcase some of the best art, food, cultural performance and even a fashion show to have you come “Celebrate Taiwan” at Grand Central Terminal together. No user commented in " Celebrate Taiwan @ Grand Central Terminal "